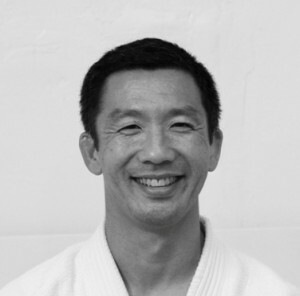 The founder and program advisor of the East Bay Judo Institute (EBJI) is Dr. David Matsumoto. Matsumoto Sensei served as head instructor of EBJI from 1983-2015 and currently holds a 7th degree black belt (Shichidan), an International Judo Federation “A” Level Referee License, an “A” Level Teacher and Coaching Certificates from the United States Judo Federation. He is also a licensed instructor in all seven katas of judo. In addition to his work at EBJI, he had also served as the Chairman of the National Technical Research Subcommittee of the USJF, as an Official Researcher for the International Judo Federation (IJF) and as Director of Development for USA Judo. Matsumoto Sensei has received numerous coaching awards, including the 2003 United States Olympic Committee’s Coach of the Year for Judo and 1999 US Olympic Committee’s Developmental Coach of the Year in Judo awards. His students have distinguished themselves many times as medal winners in many national and international tournaments; as national and international referees; as organizational leaders in judo; and as social and civic leaders. 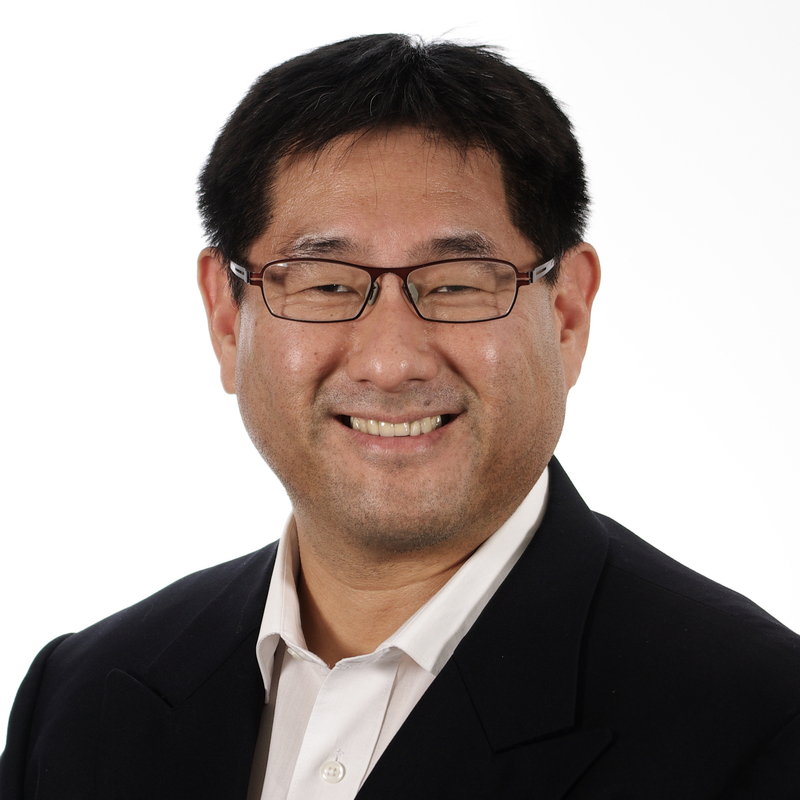 Professionally, Dr. Matsumoto is Professor of Psychology and Director of the Culture and Emotion Research Laboratory at the San Francisco State University and Director of Humintell, LLC. He earned his BA from the University of Michigan and his MA and PhD from the University of California at Berkeley. He has studied emotion, human interaction, and culture for over 20 years, and is a world-renowned expert in this field. He is the author of approximately 400 works on culture and emotion, including original research articles, paper presentations, books, book chapters, videos, and assessment instruments. He has made invited addressed to professional and scientific groups in the US and internationally. He also serves as an intercultural consultant to various domestic and international businesses and agencies. Over 20 years ago, Dan Sensei was draw to EBJI by its reputation for good, hard training. He began his tenure at EBJI as a visitor, by making hour-long commutes from the Petaluma area before becoming a permanent and essential fixture in the dojo community. Since then, he has become a well-rounded judoka; he has enjoyed competitive success on the national level while also being certified as a national coach and teacher. Dan Sensei also has basic mastery of all seven katas as well as being very well-versed in the history and evolution of judo. He is the former President of Daiheigen Judo Yudanshakai and holds an IJF “A” Referee License (the highest certification for referees). In addition, he currently teaches the Tuesday night intermediate and adult judo classes, while working as a computer programmer and strength and conditioning coach. In 2015 Dan Sensei became the head instructor of EBJI. Ken Sensei is one of the longest standing members of the East Bay Judo Institute, and is universally respected as a role model to the younger instructors. Ken Sensei enjoyed a successful competitive career as a two-time medalist at the Senior National Championships, and qualifier for the Pan American and World Championship team trials. Currently of Tippett Studios in Berkeley, he has had the opportunity to work on a number of major motion pictures, most notably, Armageddon, The Matrix Trilogy, and the Twilight Series. After earning his graduate degree in film studies at the University of California, Los Angeles in 2006, he continues to work in the film industry, and on his own personal projects. Ken Sensei currently teaches the Saturday morning children’s classes and the competitor’s class held Monday, Wednesday, Friday and Saturday. Sayaka Sensei began studying judo at the age of 5, under the instruction of her father, David Matsumoto, and grew to become a talented judo player in her own right. She currently has the most impressive list of competitive accomplishments at EBJI: She is a 7 time Senior National Champion, has been on 3 World Championship teams, and was a member of the 2008 Olympic Team. In December 2006, she graduated from the University of California at Berkeley with a B.A. in Mass Communications and a minor in Japanese. Since retiring from competitive judo, Sayaka Sensei now leads the advanced classes at EBJI and currently works as Operations Coordinator for Humintell, a psychology-based company located in the Bay Area. She teaches the advanced class on Monday, Wednesday and Friday evenings as well as Saturday mornings. She also teaches the beginning kid’s class once a week. Nate began Judo at the age of 4 in Massachusetts, where he was born and raised. After winning various junior national competitions located around the country, Nate relocated to upstate New York and won his first Senior National Championship Title in 2001, when he was only 18. After medaling in many other Senior National Championships, Nate relocated to California in 2006 and joined EBJI shortly thereafter. While a member of EBJI and under the guidance of Matsumoto Sensei, Nate won his second Senior National title in 2008 and also competed and place third at the US Olympic Trials that same year. 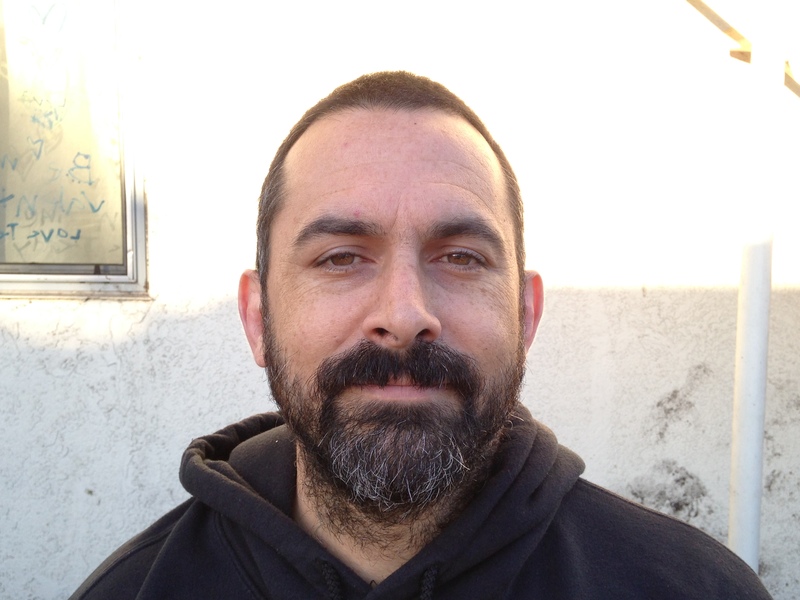 Nate holds a CA state certification in massage therapy and currently is a massage therapist. He owns his own private practice on Piedmont Ave in Oakland. Stephanie was drawn to judo at the age of 7 as a means for developing better coordination, athleticism, and confidence. During her competitive career, she was a 3-time Senior National Champion, and member of the 2002 Junior World Team. In June of 2007, Stephanie graduated from the University of California at Davis with a B.S. in Human Development and a minor in English. She has experience working with a variety of educational, therapeutic and recreational programs for at-risk and low-income populations. She currently works with the Berkeley-Albany YMCA/Berkeley Unified School District Head Start program and has 10 years of experience in teaching judo. Stephanie currently gives back to the dojo by teaching the Intermediate Kid’s Class on Thursday evenings. Themis Lonis was born in San Francisco and raised in Daly City. 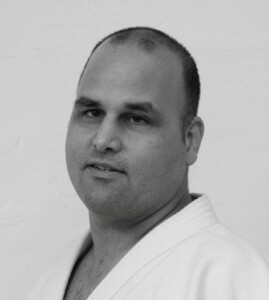 He began judo in 1995 as an adult, mainly because his children were participating. Over a decade later, Themis is still an integral part of the dojo community. His son Christian participates in the children’s class. Themis frequently attends the advanced class, helping the competitors of East Bay train for various tournaments. Outside of judo, Themis is currently a law enforcement officer at the Oakland Police Department and lives in Pinole with his wife Lori and has four children: Daniel, Julian and Christian, and Emily. 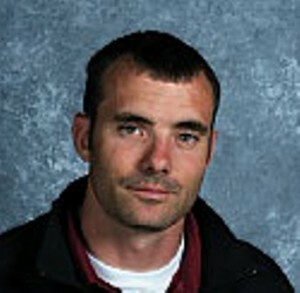 He currently teaches the Adult Class on Thursday Evenings. 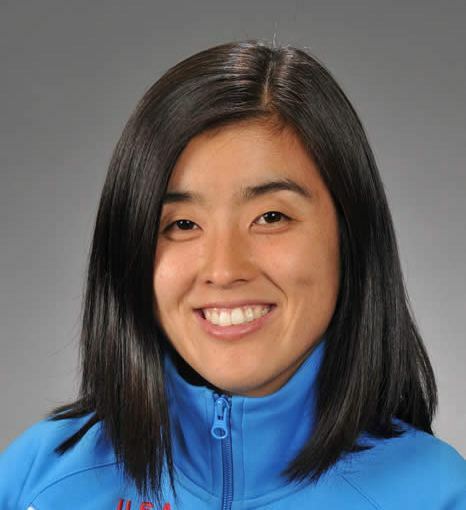 Leslie began studying Judo in 1995, at the Soko Joshi Judo Club, and joined EBJI in 2009. Since then, she has been excited for the exposure to EBJI’s competitive perspective. She enjoys teaching, and helping with the beginning and intermediate kid’s classes. Outside of judo, Leslie is a market research consult in the health care industry, a beekeeper, a second degree black belt in Shorin Ryu karate, and the mother of 2 joyful children. Leslie currently teaches the beginning kids class once a week. After studying MMA, and Chinese Martial Arts in the mid-late 1990’s, Keith Berry started Judo in 1998 at age 20. Initially drawn to Judo by its systematic approach to grappling, Keith also found Judo to have strong cultural and moral dimensions that were lacking in other martial arts. 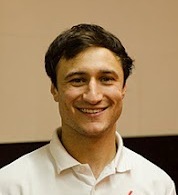 After completing his undergraduate education at UC Berkeley in 2003, Keith was drawn to East Bay Judo by its reputation for producing good fighters, as well as its motto of “Building good people through Judo.” Keith has enjoyed multiple stints as a student at EBJI in 2004-2005, and 2012 through present. Keith is the proud father of EBJI students, Tewodros “Teddy” Berry and Daniel Berry, as well as future EBJI student Salome Berry. Keith assists in the kids Intermediate classes on Tuesday/Thursday nights, and is often in attendance as a student in Dan Sensei’s Tuesday night class as well as the Saturday Intermediate/Advanced class. Keith is the Responsible Managing Officer of Apt Maintenance Inc in Oakland, CA and recently received his MA in Theology from the Graduate Theological Union in Berkeley. He currently lives with his wife Sarah Abigail Ejigu and their 3 children in the East Bay.